With CES 2013 wrapped up, it's safe to say that audio wasn't exactly a hallmark of the show in the gadgety sense. As a whole, manufacturers brought their latest creations, but even calling most of them evolutionary would be a stretch. That point was confirmed when Sennheiser, an audio maven, focused its attention on its rare Orpheus headphone system -- something manufactured decades ago. This year, the show felt like a minefield of updates and lineup extensions, with companies -- and Carly Rae Jepsen -- exclaiming, "me too!" When Parrot unveiled Zik last year it was crazy to see all that tech jammed into a pair of headphones, but that quickly became the norm. Now, it's totally common to see the likes of NFC, inductive charging and wireless connectivity in audio gear. It wasn't a total snooze fest, though. Sure, nothing really stood out the way an 8K UHD TV could, but that doesn't mean it won't be a solid year for audio. However, it may just be a bit boring now that good sound and the latest tech are being brought together at every corner. Join us after the break for this year's sonic standouts. On the gadget-laden headphone front, we saw some interesting sensory technology. Skullcandy introduced its latest vibrating headphones, the Crusher, which we found to be surprisingly pleasing in our initial ears-on usage. 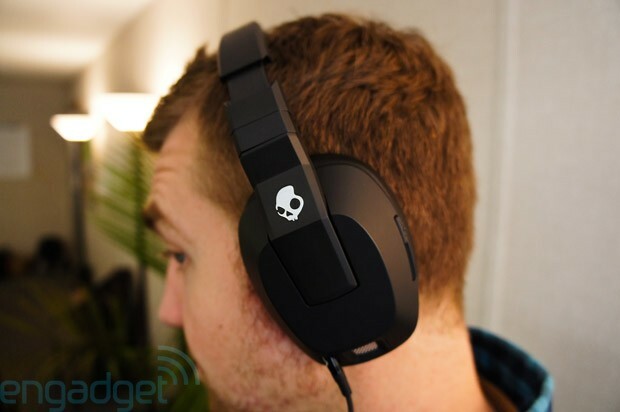 The rumbling feeling felt to our Managing Editor, Darren Murph, more like a fairly accurate, audio-enhancing sensation (as Skullcandy describes it), rather than annoying buzzing. That said, it will likely prove better for movies and games, not extended listening sessions -- unless you're a basshead, of course. Better yet, the headphones are battery-powered, but the rumbling effect will still function if your juice runs out. A $100 price point will make the deal even sweeter come March. 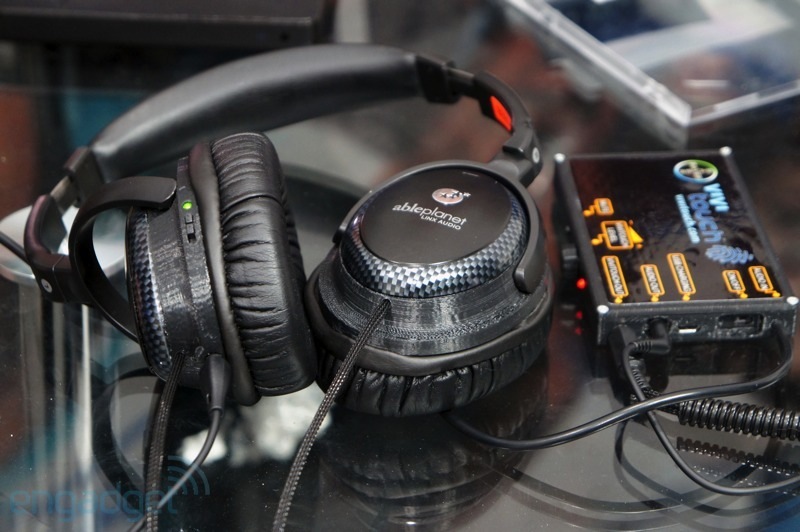 Taking things a step further, ViviTouch and AblePlanet showed us their progress toward a smart haptics gaming headset. We've seen the former's work on gaming controllers in the past, and seeing it come to the audio side of things is exciting. Rather than being stuck with a usual vibration motor, a thin electroactive polymer that can precisely mimic various kinds of rumbling is embedded in the earcups. It's definitely a few steps up from what we've heard in the past, and hopefully it will make our in-game sound more immersive sooner than later. 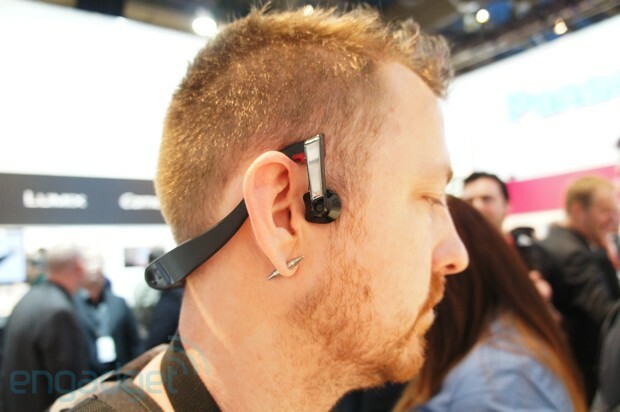 Then there was Panasonic with its Bluetooth-equipped bone conduction headphones. Again, not the first time we've seen anything like this, but a solid -- and interesting -- effort nonetheless. Looking similar to earbuds, the sound emitting portions actually rest just in front of the ears under your temples. Our editor on the floor, James Trew, decided it was extremely hard to hear given all the loudness around him, adding that even a few times louder would likely still not be enough. It's a prototype as of this writing, though you might find them in stores later this year for about $200 if all goes according to plan. Perhaps the most interesting bit of audio news wasn't even hardware -- albeit from a company most known for its headphones. 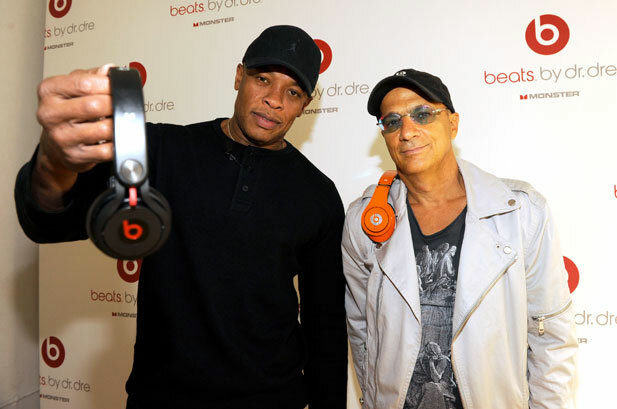 Following its Mog acquisition and teases about a collaboration with Trent Reznor, Beats Electronics officially announced its ready to take the subscription music streaming segment by storm. There are really no concrete details, but Project Daisy will be its more personable answer to the likes of Spotify -- something that it claims will be much better for the music listener than what's currently available. It certainly has the brand power behind it, so we'll see what happens come later this year.